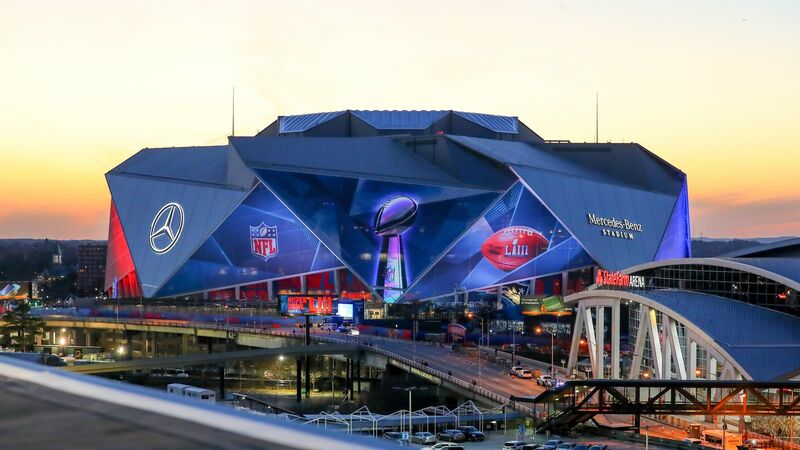 While millions huddled around TVs and laptop screens for Sunday’s big game, the 2019 Super Bowl with the New England Patriots vs. the Los Angeles Rams (for the first time since 2000), brands were hard at work showcasing arguably their best commercial campaigns of the year. Key takeaways include: AI and Robots rule the roost, ad fake-outs still reign supreme after 2018, and the spots to win the day are in equal measure funny, shocking or tear-jerking. “What if you had the power to change the course of events? To have all of the world’s information at your beck and call? To master the very idea of personal time and space?” Along with cartoon animation from ATK PLN, Mercedes-Benz gave one man way too much power for their Super Bowl 2019 spot–including the power to apparate Ludacris onstage. ATK PLN also sent Wonder Park characters for a ride, crafting the opening animation of the latest movie trailer featuring a classic carnival drop attraction. Wonder Park hits theatres March 15. Robots seem like they can have and do it all…until they don’t. Butter Music + Sound NY gave this AI the pep in their collective step for the spot that demonstrates the one thing robots have to go without: light lager. And hangovers. “Millions of people live without access to clean water, but thanks to Stella Artois’ partnership with water.org, you can help change a life.” Nice Shoes lent post production to the Stella Artois #PourItForward campaign spot starring Matt Damon, leading up to the big game. Stella Artois will make a donation to Water.org for every bottle or pint of Stella Artois and Stella Artois Cidre (330mL equivalent) sold in the U.S. between 1/7/19 and 3/31/19, up to $2,250,000.00. The Rams were long overdue for a charge to the Super Bowl. With audio by Plush and mixer/sound designer Michael Levesque, Ram Trucks cleverly plays up the LA Rams’ trip to Atlanta with a herd of the CG animals, barreling through the Hollywood sign, Memphis and Longhorn country before reaching their exit. Despite the long trek, they somehow only got held up in traffic once. In a touching spot mixed by Sonic Union’s Michael Marinelli, Microsoft touts their Xbox Adaptive Controller, which allows differently-abled children with various physical limitations to play their favorite video games. A flat dual-disc controller, the device gives these children the accessibility available to the majority of players. Continuing their First Responders-focused spots, Verizon spotlights NFL players who thank the first responders responsible for saving their lives in times of peril. Mixed by Sonic Union and sound engineered by Paul Weiss, as were previous “First Responders” spots, the campaign features 12 stories from footballers including AJ McCarron, Carlos Watkins, Carson Tinker, Adrian Colbert and more. Directed by Washington Square Films’ Michael McCourt, this regional Super Bowl spot out of Dallas/Ft. Worth shines a light on the strength of children out of Children’s Health. “Kids Rule” lists the way kids overcome adversity as they heal, recover and fight through life’s toughest challenges. Continuing a longstanding M&T Bank campaign, Washington Square Films director Joshua Z Weinstein emphasizes community among the residents of Buffalo, Harrisburg, and Baltimore in a series of touching spots featuring real people and real business relationships.